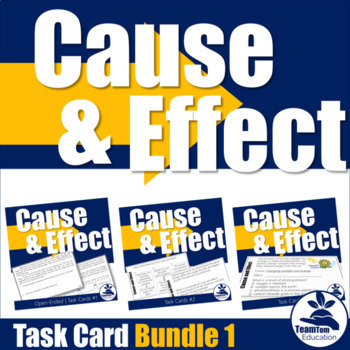 Cause and Effect Task Cards for 3rd grade, 4th grade, and 5th grade to help build reading skills and text-based reasoning. 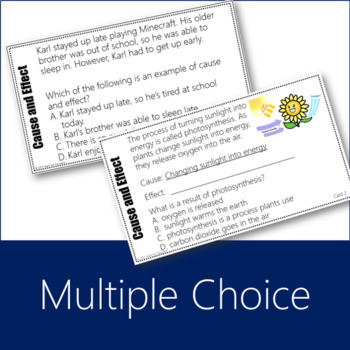 These task cards focus on scaffolding students into understanding how to identify cause and effect using open-ended and multiple-choice task cards with paragraphs and graphic organizers. 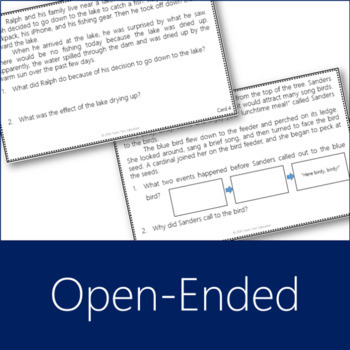 Students will analyze cause and effect relationships and cause and effect text structures! 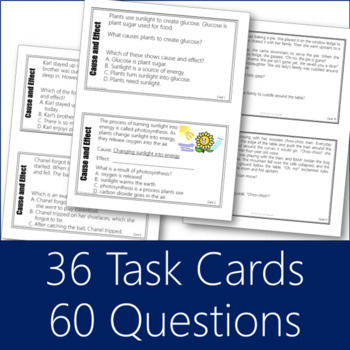 Explore the Free Preview to see how these cards will help meet your students' needs!